Watching Jimmy Barnes' personal story of his dire early days as a child migrant in Elizabeth, South Australia, (Working Class Boy) reminded me that many family histories in Australia commence with relatively recent arrivals - in the middle of last century after WW2 - rather than with early pioneers of the 18th and 19th centuries. The Bonegilla Migrant Camp in NE Victoria was where over 300,000 migrants started their Australian lives. 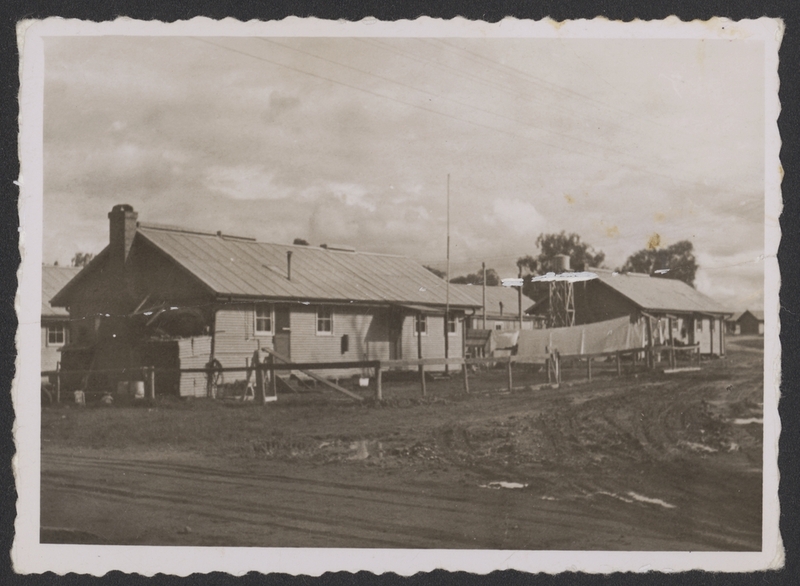 The Bonegilla Migrant Camp was established at a former army camp near Wodonga, Victoria. It was the first home in Australia for more than 300,000 migrants from more than 50 countries from 1947 to 1971. They had diverse arrival and settlement experiences. "Depending on your cultural connection with Bonegilla, there are a number of ways to pronounce it. To many locals, it’s strictly ‘Bone - Gilla’ but to immigrants arriving from Europe after World War II, the word was often read as ‘Bonny-Gilla’ or ‘Bon-Eg-Illa’." Passport for Bonegilla, Bonegilla Migrant Experience website. Sadly wars produce a wealth of records of the lives lost and entangled in these conflicts. 2018 marks the end of the WWI Centenary. This war gave Australia and New Zealand the story of Gallipoli, but Australian and New Zealand volunteers were already in Serbia, treating wounded Serbians, before the ANZACs landed. Because of the Gallipoli Campaign, Germany, Austria-Hungary and Bulgaria invaded Serbia to secure a land supply corridor to Turkey. The Serbian Army was forced on a deadly retreat over the wintry mountains of Albania to the Adriatic coast, an event sometimes called the Albanian golgotha. Australians and New Zealanders accompanied the Serbian Army on this long march. When the fighting shifted to the Salonika or ‘Macedonian’ Front, many served there with the British Army, the Royal Flying Corps, two AIF units and six Royal Australian Navy destroyers in the Adriatic and Aegean Seas. Some died in action, others from disease. Several hundred doctors, nurses and orderlies treated the wounded and sick in an Australian-led volunteer hospital and in British and New Zealand Army hospitals. The author Miles Franklin was a medical orderly supporting the Serbian Army; her memoir is quoted extensively in a new book. Fifteen hundred Australians and New Zealanders served on this little known yet crucial battlefront. There will be a commemorative presentation about the service of these Australians in WW1 and a launch of a book about them - in Melbourne on 8 September and at the Australian War Memorial in Canberra 15 September. On Saturday 8 September The Australian Serbian Cultural Foundation is presenting an evening of remembrance and commemoration of the Australians and Serbs who served together in The Great War. Doors open 6.30 pm (for 7 pm start) at Holy Trinity Serbian Orthodox Church Hall, corner Nicholson St & Glenlyon Rd, Brunswick East. This event is open to the wider Australian and Serbian community. Entry is free. 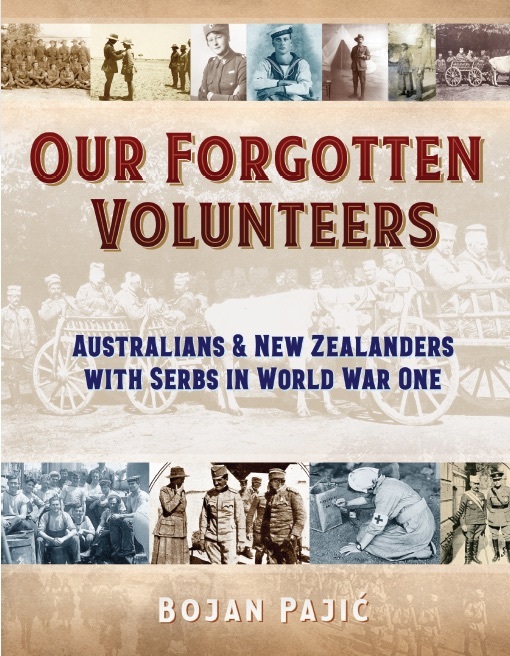 Bojan Pajic, the grandson of a Serbian soldier of WWI, who will present his newly-published book Forgotten Volunteers – Australians and New Zealanders with Serbs in World War One. The GSV has been assisting Bojan Pajic to trace and contact descendants and relatives of Australians and New Zealanders who served in Serbia or alongside the Serbian Army on the Salonika Front and nearby seas in World War One. Over 100 have been identified and contacted. Finally, after several years of research and writing, this story has now been told in a book recently published by Australian Scholarly Publishing. The book will be launched by Emeritus Professor David Horner AM at the Australian War Memorial on the 15 September 2018. This Serbian research is a reminder that, whereas the GSV helps Victorians, their stories and the GSV's resources are truly international. And this is not limited to the British Isles. The GSV has a specific group for its members - the International Settlers Group - focused on non-British research. Go HERE to see when they meet and how they can help you.